Those curves are right where I left them. And I didn’t have the slightest doubt about that. 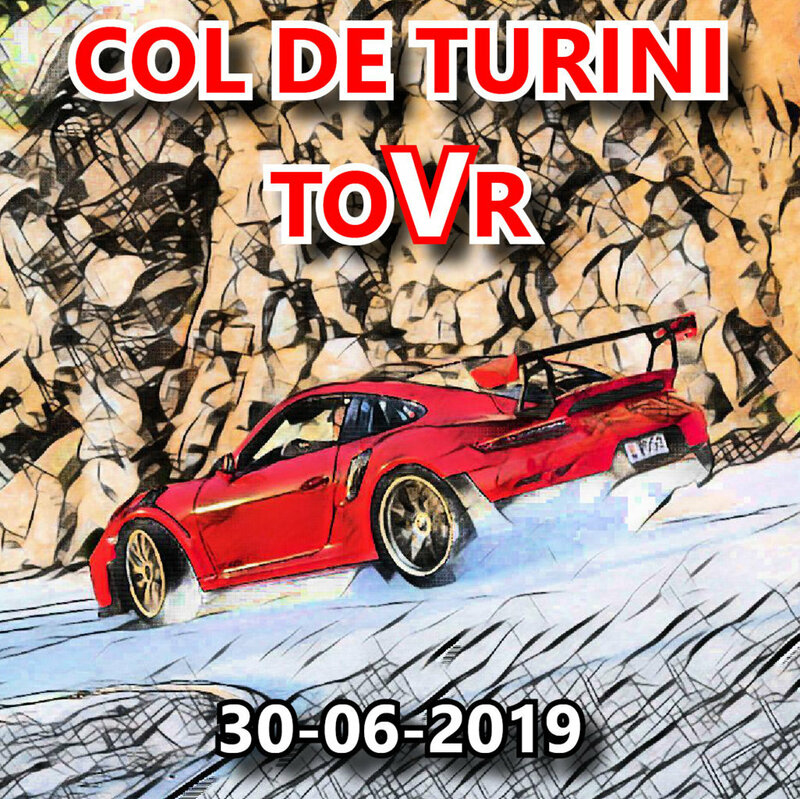 A bend after the other, that seemingly endless wait seems now consumed like paper-mache thrown into the burning fireplace and with the screeching tires and the steering wheel that only gives a very slight vibration, the tapered nose of the Alpine keeps its climb towards the summit. After passing Armeno, the road seems to free and devote itself to us and to our little blue rocket, a sports car that overturns the idea of making indigestion of horses in order to embrace the monotheism towards a frame used only to exalt the deepest and most intimate driving pleasure. 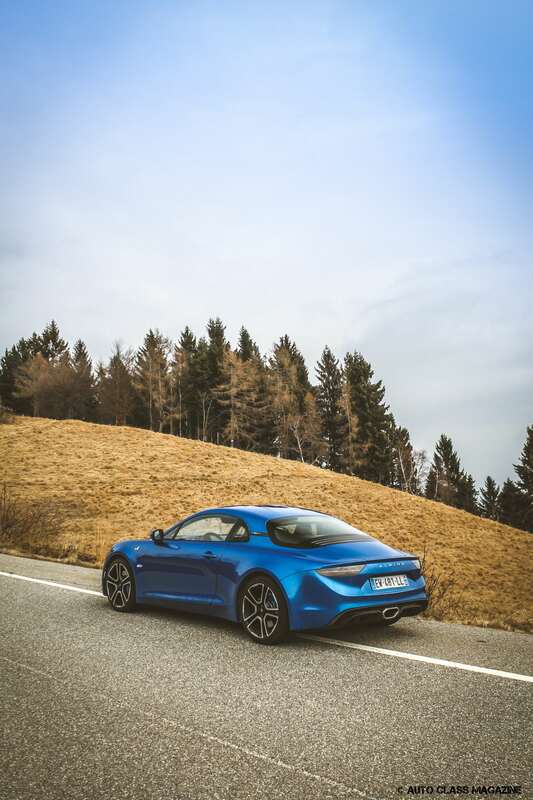 Finally I have the new A110 in my hands, one of the 1.955 Prémière Edition – all of which have been sold fairly well in advance of its arrival on the road – and some of the most crazy kilometers of the year, now close to its epilogue (it’s the end of December). The Mottarone welcomes me as a dear old friend, it wraps me in its embrace and drags me up its constant and satisfying climb. 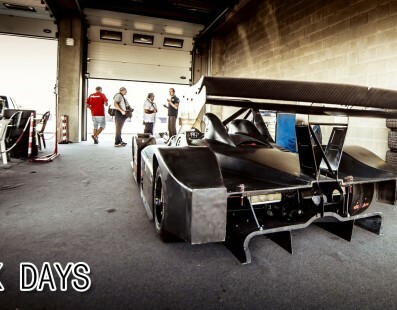 It is a succession of corners, interspersed with some faster sections in which I can abandon the Sport mode, which had immediately sharpened the response of throttle, gearbox, steering and suspension, and engage Track mode, which inhibits traction control and contributes to almost completely erase that bit of understeer that at least does not put less experienced drivers in painful situations. 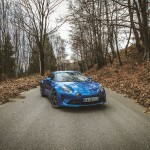 It feels like driving a grown-up toy, the feeling is similar to the one you feel on a Lotus or a 4C, with the difference that the power steering you have here is set so as not to lose the connection with the asphalt under your tires, while the better soundproofing and a less cracked structure make the Alpine enjoyable in any context. 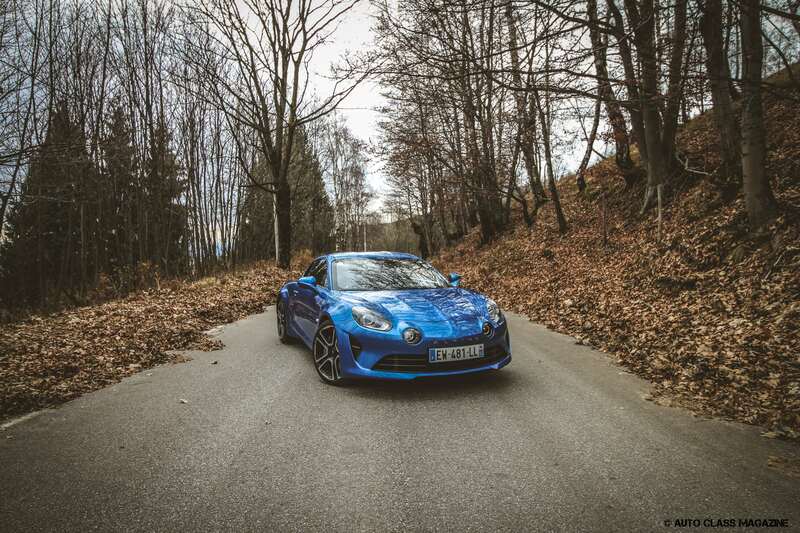 At this point, calling into question cars like the Cayman and the Audi TT is obvious, but for its part, the A110 weighs a good 25% less than the two Germans, stopping the scale at 1.103kg, including liquids. 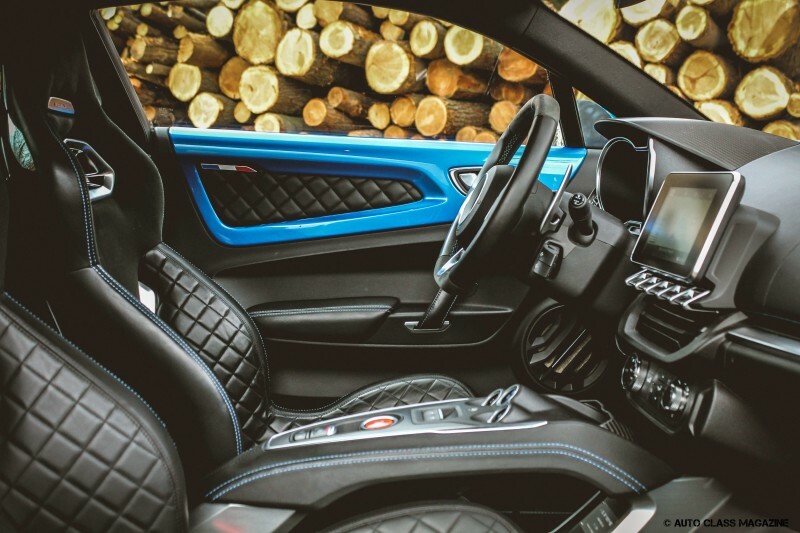 The French technicians have followed the philosophy of Lotus mastermind, the legandary Colin Chapman, saving pounds everywhere – just to give an example, the Sabelt sports seats only weigh 13.1 kg, exactly half of the counterparts fitted on the Megane RS. Yep, the Megane RS. If there is a hatchback you must absolutely pull by the neck, that’s the Megane RS. 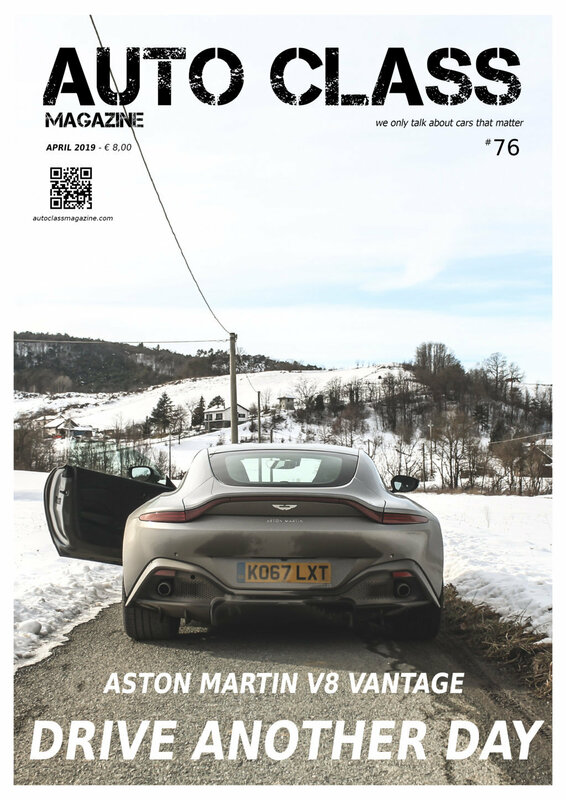 Completely different from the sweet blue pleasure tablet that pays homage to the classic A110s of the 60s and 70s, but with the same ability to bewitch you after a few minutes of driving. Spending a few hours with it and you will seriously jeopardize your self-control, just imagine what is like to open the door of the motel room and find it a couple of steps from your bed, with that sly look and those headlights that almost seem to wink at you and say, “So are you ready to burn some rubber? ” – those eyes will throw you into a tunnel with no way back. Awaited beyond reality, the risks of finding yourself in disappointment are swept away by a recipe that smells of motorsport and of a series of tricks that make this little bomb a perfect car to squeeze your passenger’s buttocks, especially if you are attacking a mountain road without sides protection. The secret is very simple: aluminum body and chassis, a small 1.8 turbocharged 4-cylinder capable of delivering 252 hp and 320Nm of torque and a 7-speed dual-clutch gearbox. Too bad we don’t have the option of the manual, but once tossed around some serious bends, you won’t miss it too much. Believe me. 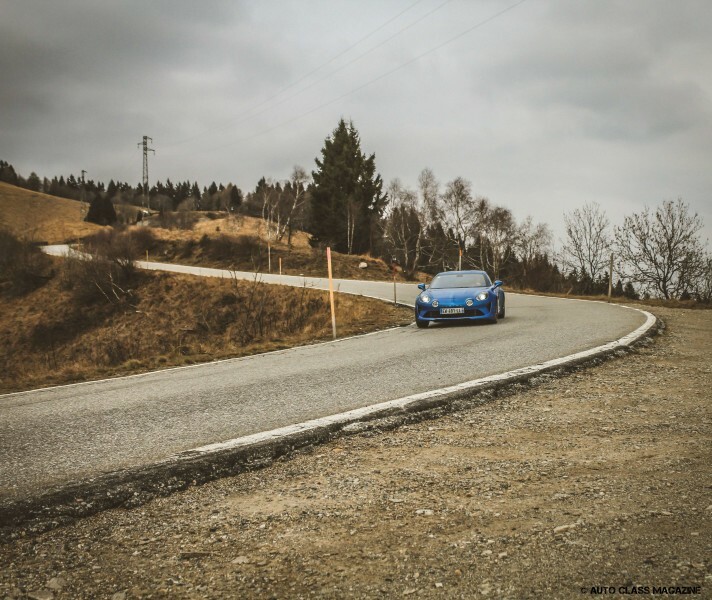 Actually the Alpine is extremely reactive and although it does not become as rigid as a wooden board – not even in Track mode – the lightness of the movements courtesy of steering and suspension do not disdain the double clutch with paddle on the wheel. The same gearbox is pretty fast and precise, even if you appreciate it more when you increase gear rather than downshifting, where however, you will be amazed by the muttering of the exhaust. 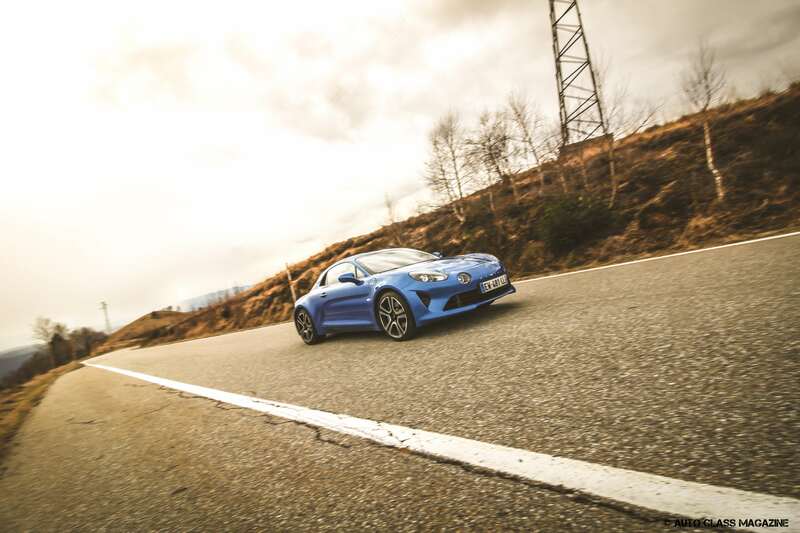 If you are wondering, the heart of the A110 is shared with that of the Megane RS (again), with appropriate modifications to the air intake, turbo and exhaust system, offering a more engaging and apt response for a car of this kind. 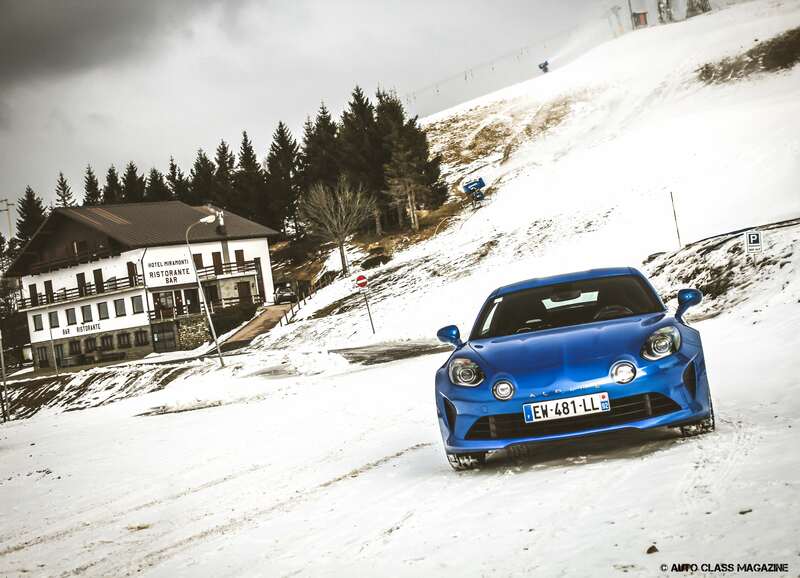 Yeah, how to define the Alpine? It’s not a supercar, but it’s not even a traditional sports car. But is it really so important to define everything in our lives? I am wondering this in one of the rare moments when I lighten the grip around the thick crown of the beautiful steering wheel and I let my eyes rest on one of the most beautiful cockpits in the automotive industry. 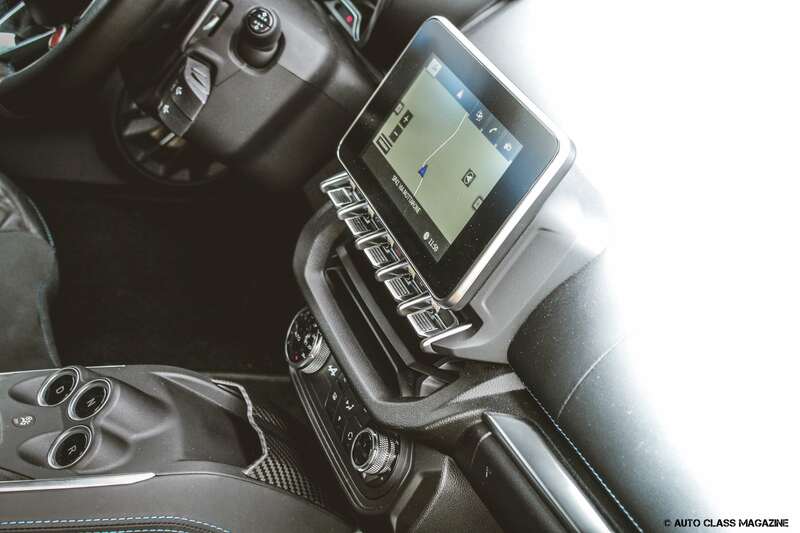 There is a lot of leather with rhomboid patterns (just like its ancestor), there are raw panels in the same blue of the outside and a dashboard that has not only the bare essentials, but also a touch screen display for satellite navigation and radio controls. 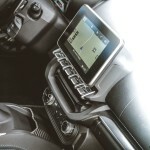 You’ll forgive it for not having Android or Apple CarPlay connectivity – really, who cares. The ideal connectivity is the one the 18-inch wheels exert on the road under you. In the slowest corners you slide in as if you’d do on a track, letting the rear slightly widen on the way out, while in the fastest ones you use a 44:56 weight balance and a light car body that rewards the positioning of the engine right behind the driver. I almost forgot to tell you that traction is on the rear wheels, but I’m pretty sure you knew that well. The little Frenchie makes you shout “Mon Dieu”, because when you were sure that it was at the limit, it gives you a few centimeters more and you begin to convince yourself that in a world where there are thousands of cars, this was perhaps the only one that was really missing. 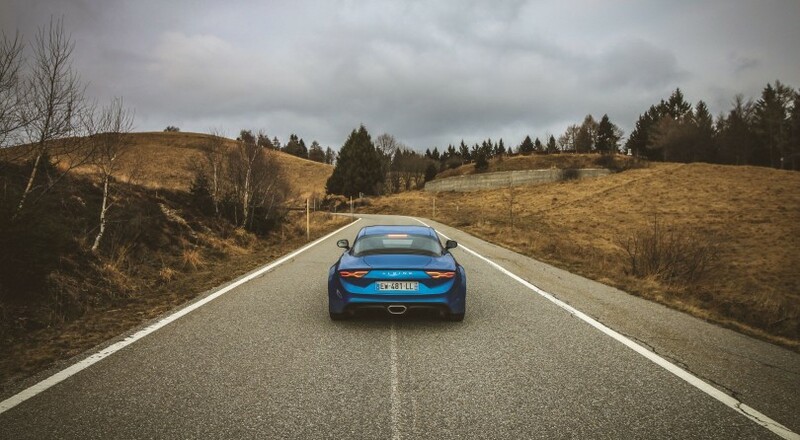 Taking 4 and a half seconds to shoot from 0 to 100 kph has never been so much fun: the exhaust burbles and the torque curve is always ready to make the tachometer needle point upwards. And in the meantime, outside the window, what used to be a thick, slightly yellowed vegetation has now become a blanket of dry grass, a darker yellow tending to orange and then, a few hairpin bends later, the road and everything around it turn white. We have no winter tires, to the advantage of better handling, but fortunately we are already on the top of the Mottarone and so, slipping and taking advantage of a bit of inertia, we are able to put the wheels back on clean tarmac. A moment of respite, for the Alpine and for us as well. A moment to put ideas together, enjoy the view and sink our eyes on the details of lines that, unlike the driving experience, keep dividing opinions at the office. Aptly there are many references to the model of a few decades ago, such as the two small round headlights at the front, or those horizontal (plastic) profiles at the base of the rear glass. But what confirms that it is a car that wants to be driven and is not meant to be abused looking for cocktails after the gym is that it takes up the heritage of the old world of rallies and translates it on everyday roads. Still enjoyable in Normal mode, but give me a good reason not to squeeze it like a lemon. Drawbacks? Just a couple. The cabin is in fact spacious and you only feel the lack of a single storage for your smartphone. There are two luggage compartments, but the front one is too small in depth and the rear one just houses a backpack and overheats after a few hours of driving. 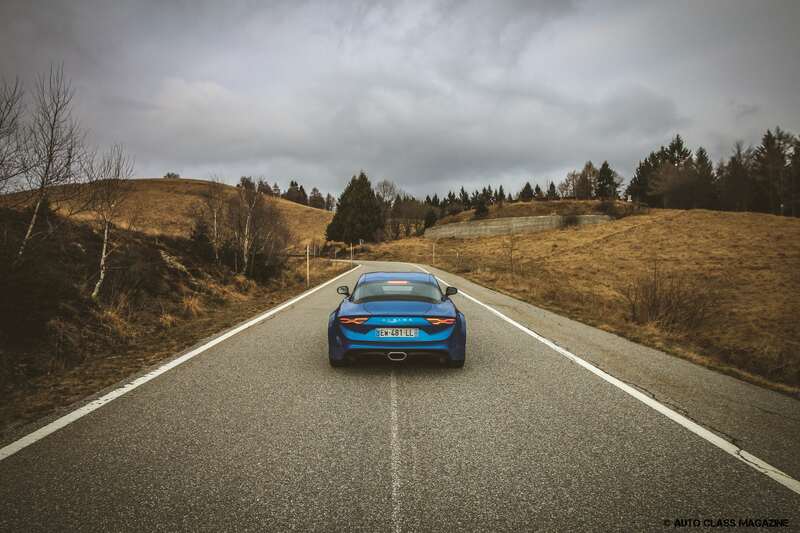 Its low overall weight leads to some slight pitching at motorway speeds, but it will be enough to keep a good grip on the steering wheel and you will be able to reach your mountain to climb, true natural habitat of the A110. The price is not prohibitive at all, with around €56,000 for the Pure version (€60,000 for the better equipped Légende) we begin to enter a world that puts performances in first place, without forcing you to wave goodbye to kilometers filled road trips and without breaking your back at every pothole and without burning as much petrol as you’d do with a more traditional sports car. 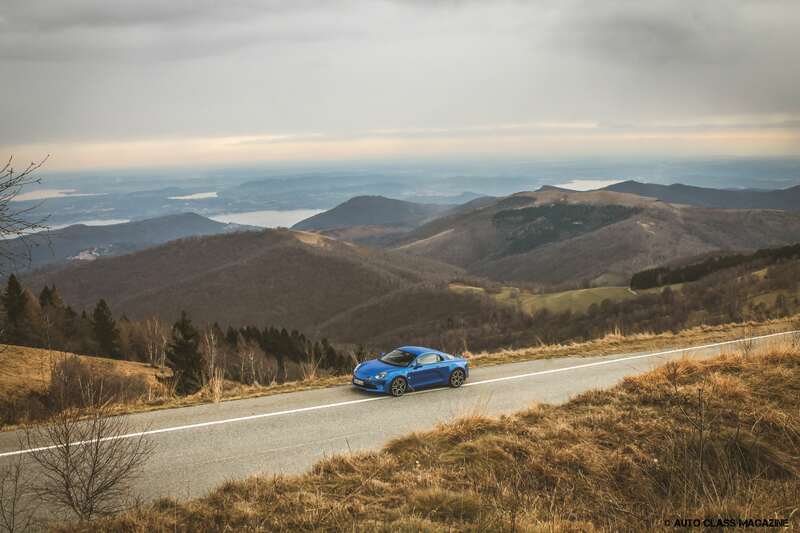 Fuel consumption is declared at around 6l/100km, quite truthful, provided that you intend to use the Alpine as a simple car and not as the splendid muse for spirited pace that it really is. Sometimes it takes very little to feel alive. A deserted road, the right car and the desire to empty the tank before sunset. Then just fill up, turn on the lights and start from scratch. 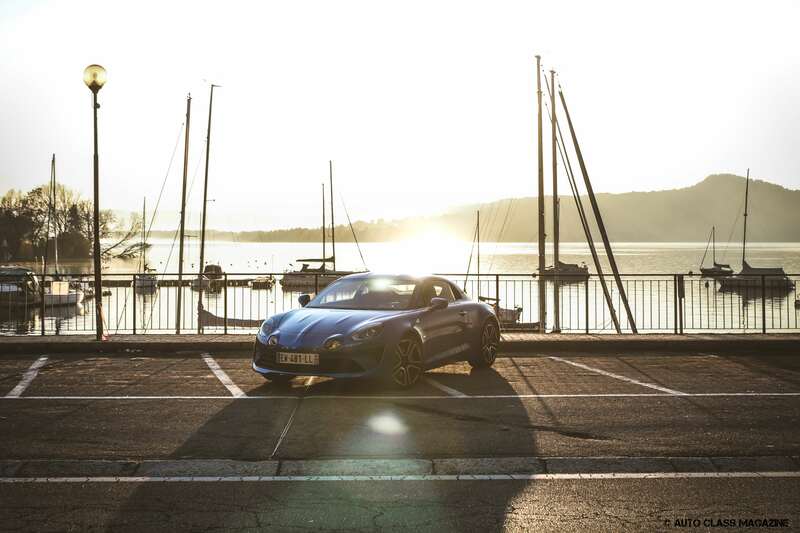 Certain things do not have to change, just like you can’t get used to certain situations and despite having tried in every way to take everything I could from the new A110, the desire to tighten its wheel in my hands again hasn’t run out. 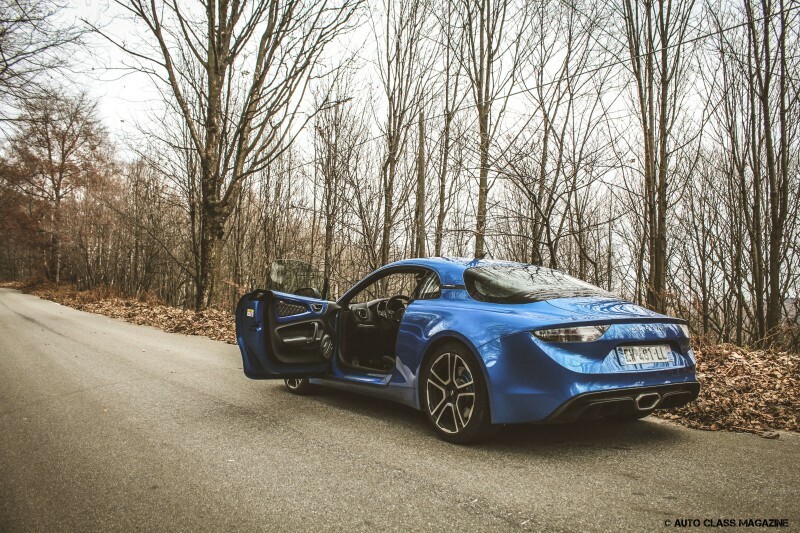 It is undoubtedly one of the best cars of the past year, but also one of the best sports cars I have ever driven and one of the very rare situations where high expectations are not disappointed.